Once the domain of corporations, large financial institutions, hedge funds, central banks, and wealthy individuals, the forex market is now open to average investors because of ubiquitous Internet access. The forex marketplace represents the electronic over-the-counter markets where currencies are traded worldwide, twenty-four hours a day, five and a half days a week in every trading locale. With the click of a mouse, traders borrow one currency to purchase another, hoping the spread turns out in their favor when they need to sell. Those who trade may take positions and hold them for months. They’re betting on currency values, which move one against the other. The forex market is the largest, most liquid trading market in the world. Businesses that trade with those in other countries, and foreign tourists, must exchange currencies to buy goods or services. You may see this market referred to as FX, forex, foreign-exchange market and currency market. All are synonymous. Margins are low and leverage is high in this marketplace. Forex traders are required to have as little as 1% of investment value available as margin, while equities traders require at least 50%. And forget large commissions. Spot forex brokers earn a fee for each transaction equivalent to only the spread between the currency pair traded. Currency rates change slightly— but constantly — on the days markets operate, making it one of the least volatile trading markets. And yet there’s risk. Forex merchants deal with risk in the payments world too. Forex merchants can address their payment industry needs through offshore merchant services. Worth checking out for all high-risk merchants, they’re especially beneficial in the forex arena. A common thread running through many industry sectors classified “high risk” is the regulatory environment. Each jurisdiction establishes specific licensing requirements for forex dealers. Without required licenses they cannot legitimately operate. This ban protects investors from themselves, but makes the forex industry more difficult for US-based merchants. As if high levels of online merchant fraud, higher chargeback ratios, and chargeback levels in the high-risk world aren’t challenge enough. … All the while trying to stay ahead of the foreign exchange currency markets. Who has the bandwidth to do both? Forex merchant accounts target businesses that make regular currency transactions, for brokerage needs or simply to convert currency from international operations. The right offshore merchant services provider forms partnerships with well-respected banks around the world. Uninterrupted processing capabilities to fund trading accounts quickly anywhere merchants operate. Because foreign currencies are constantly bought and sold simultaneously in the global, competitive forex market that operates twenty-four hours a day. Multiple currency support and low exchange rates allow traders to make deposits and withdrawals easily anywhere in the world, without unnecessary currency conversions. Adjustable volume cap for flexibility to deal in the large sums frequently traded and help your business grow and thrive. Recurring billing allows repeat customers to use their payment cards repetitively. Be sure the payment gateway stores customers’ payment information via a secured website. 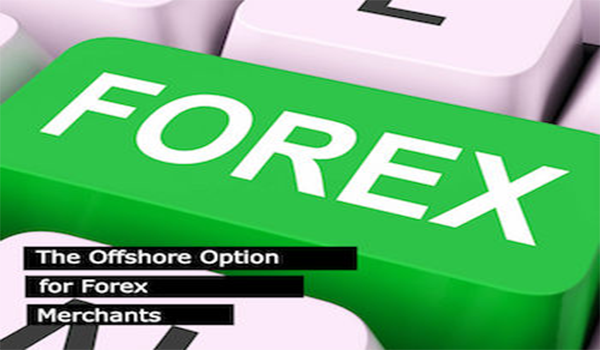 Your forex account provider of offshore merchant services should make payouts without delays so you’ll have access to your funds without waiting an inconvenient amount of time. Robust transaction monitoring, transaction reporting, and risk management capabilities will help avoid excessive chargebacks and fraud. Good and reliable in-person support — just in case processing issues arise — are also important characteristics of the right offshore merchant services provider. When you’re ready to find the best offshore merchant services, it pays to work with a specialist provider who understands the intersection of the complex forex marketplace and the payments industry. Your chosen specialist should understand the risks associated with offshore processing, and include risk mitigation expertise front and center. Choose a specialist that offers a full suite of offshore merchant services with the technology to support your forex ambitions. For example, many merchants benefit from multiple merchant accounts — perhaps both domestic and offshore. A specialist will assess your specific business needs before suggesting a processing structure to for your business. And they’ll help put it in place. Along with a solid record and a stellar marketplace reputation, they should have the capability to give you access to a broad range of processors — and the know-how to ensure your processing runs smoothly and seamlessly with the best offshore merchant services.